This is a handmade bronze keyring. 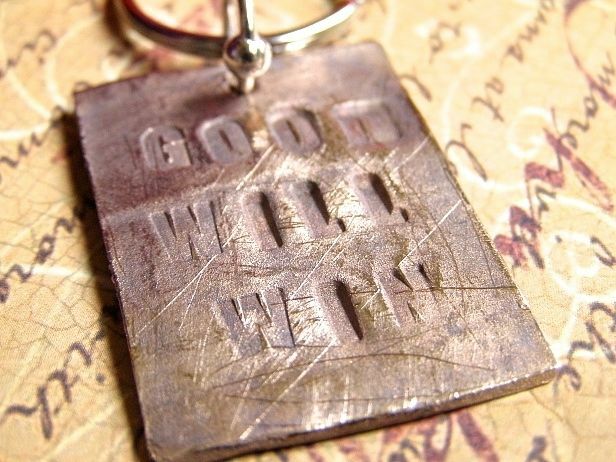 made with bronze clay and stamped with the words: good will win. I love surrounding myself with reminders that support a positive way of living, breathing, thinking and being. There is more good in the world than bad. Always! Charm measures: 1.5 x 1 1/8 inches. Remember you can always design your own, using words that inspire you!